I’ve been fortunate to have my electronic pen pal and sometime observing partner David DeLano contribute several guest posts in the past (sun funnel, diagonal comparo), and I wrote about one of his early Galileoscope hacks way back when this blog was only four months old. But now he’s pulled out all the stops, and written a multi-part epic explaining in detail how he evolved his stock Galileoscope into the hypertuned monster it is today. The best thing I can do at this point is shut up and get out of his way! 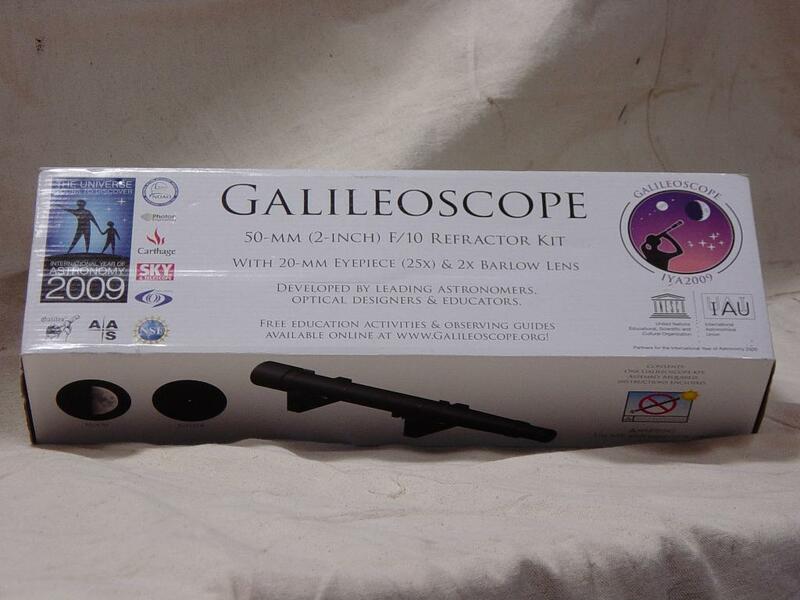 I have owned a Galileoscope (GS) from day one. I’ve also been on a quest to make the GS better from day one. I hit a stale point in the quest, though, when Matt set me off again. I was using the GS3 (third iteration, though I’d be hard pressed to figure out what GS1 and GS2 were at this point) as a finder. Matt was working on the question of why finders cost so much, when something like the GS could be had for half the price. So, I was off again to make the GS better. I don’t want to reiterate the Galileoscope history. Instead, refer to http://galileoscope.org/. Also note that there are now vendors that carry the kits, so you don’t have to buy them directly and pay shipping that increases the cost by 50%. I recently ran across them at http://www.scopestuff.com/ss_gscope.htm. There may also be some interesting additions for the GS at http://www.leosciencelab.com/, though the site appears to be down at the moment, maybe permanently, and the last time I visited the site, you couldn’t buy anything. 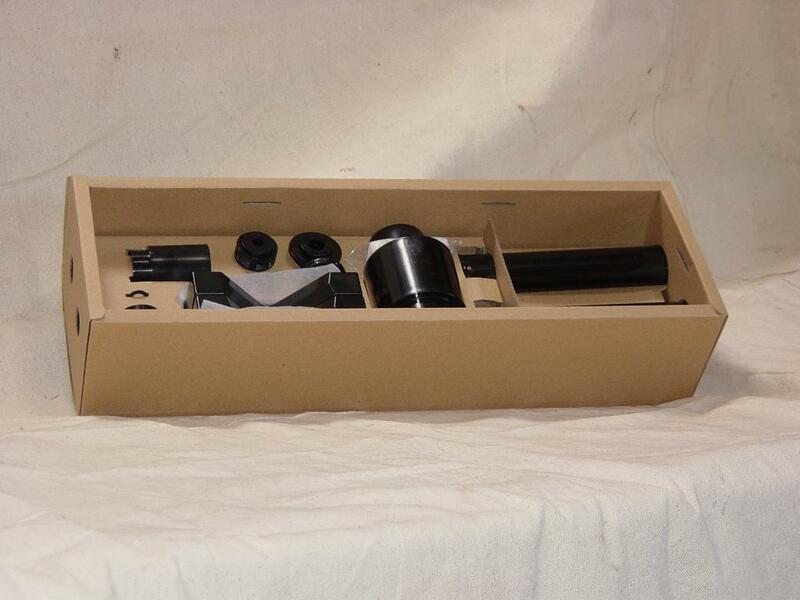 When I first received my GS (well, one of the Galileoscopes from a case that I bought and distributed to family and friends) I found it interesting to build, but frustrating to use. I immediately picked up on a few modifications that made it useful. There are three shortcomings to the design that needed remedied: the gun sight finder was difficult, if not impossible, to use in the dark; the focal length was too short to use a diagonal; the push-pull focusing was very frustrating to use. The finder update was the simplest. A very inexpensive Daisy BB gun RDF clamps nicely to the front of the gun sight. The focal length was relatively easy to fix, though the solution had it’s drawbacks. 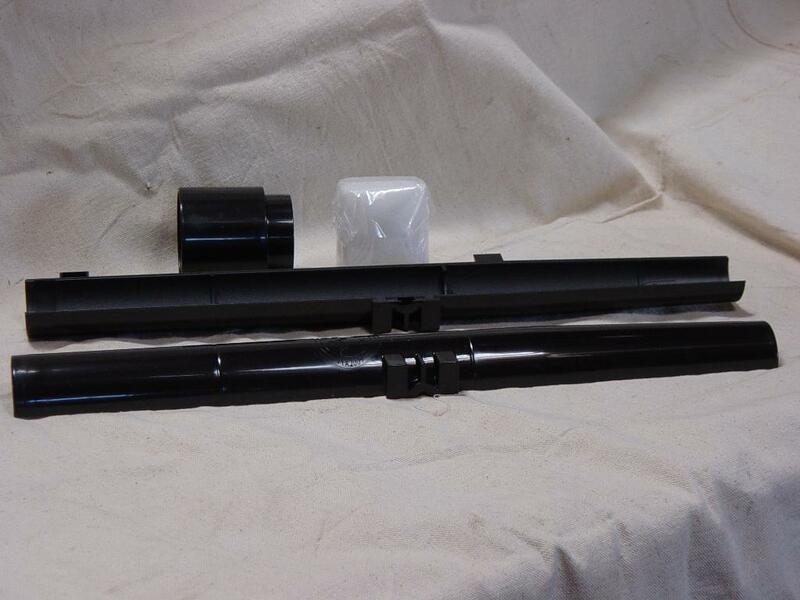 I bought a diagonal, a Barlow, and while I was at it, a 25mm Plossl Eye Piece, since that is what the scope kit came with, from OPT. The Barlow needed to have a removable lens, which was removed and screwed onto the end of the diagonal. This extended the focal point into the drawtube, and gave enough in-focus to make the design work. I was up and running with a working scope, and could verify that the objectives in these scopes were very well made. In fact, during design, the objective was where most of the effort and cost went. I got lucky in that all the parts I ordered from OPT fit together. I’ve since learned that this is NOT always the case, and many of the dead ends I ran into were because threads didn’t match. Now I had a working scope, but one that was still difficult to focus (though I think with my current level of experience I could likely make it work better). So I set out to solve the problem of focusing. I’m still on that quest for the perfect focusing solution, but I can now at least suggest some ways to solve the issue. The focusing issue is tightly coupled with the diagonal issue, and invariably lead to focal length being the issue. My hope with these posts is to give an update with off-the-shelf, readily available, parts. However, with the information I share, anyone with spare parts on hand might be able to put together a workable solution. In the end, the tube halves, the dewshield, and the objective are the only parts of the kit that I used, the objective being the important part. One of my faves in my stable of scopes. Me and Doug (Rennie) got ours at around the same time – Doug actually encouraged me to get one. Good sharp views of the planets and double stars, even with 2-element Huygens and Ramsden EPs. Thanks Doug! Good stuff, David. Looking forward to the many mods to come. Btw, what is a Daisy BB gun RDF??? Guess I need to Google that as I’m curious. Terry, it is a pretty amazing little refractor, isn’t it? Even with shortcomings in it’s original state – push-pull focuser, inability to use a diagonal and view anything near the zenith (unless you are lying flat on your back! ), plastic eyepiece lenses – I enjoy using it. .
Daisy is, or at least was, one of the popular BB gun manufacturers. I found a sight for one of their BB guns at Walmart when I was starting out. It was on sale (maybe closeout) for $5 or so. The difference from an astronomy RDF is that it is smaller including the view port, and it is usually only on/off, no dimming function, though I have or had one that has a dim/bright setting in the slide switch. It also has adjustments that need a screwdriver instead of knobs. I’ve had trouble finding them, at least at Walmart, since I bought the ones that I did find (I was looking for parts for more than one scope, since I bought one for each of my two kids). This was my approach to the Galileoscope; I gave it a diagonal. Needless to say, I love mine (even turned the box into a carrying case for it). Robert – interesting solution! Where did you get the negative lens? Does this lens change the f/l based on the distance to the EP objective (You’ll see the reason I ask this in the next post)? If you are having issues with the EP falling out, and you have a bit of the drawtube showing, you can add a small hose clamp with a thumbscrew on it. Works well, but you do need the room for the strapping. I wish I’d found your site when I started out doing this mod! The negative lens is a -29mm PCV from Anchor Optics. It was originally purchased for a facsimile of one of Galileo’s telescopes, interestingly enough. It does increase the magnification, but really not quite 2x. With longer FL eyepieces, say 40mm or better, it really comes into its own. The best thing, though, is that it allowed me to use more of my conventional eyepieces. They covered some of this over at the “Cloudy Nights” online community. This was just my simple little solution. By the way, I did manage to solve the problem of keeping this dedicated diagonal in; I use tape around the barrel. -53mm FL, 29mm diameter. Sorry!